You always have the option of choosing a provider of Home Health Care in Vancouver, BC to help you. With Dementia Care as one of the services we provide at Peachtacular Home Health Care, we can be trusted to be your partner in home care. As dementia progresses, the ability to be able to communicate can be compromised, and both you and your loved one will likely find it challenging to find a way to talk to each other genuinely. It means that extra effort must be put into talking carefully and listening actively. Your parent with dementia will have both good and bad days. Moments of clarity and being “back to their old selves” will come around less and less often, and a lot of understanding on your part as the caregiver becomes an everyday need more than ever. More than just being around them to look after their needs, the way you show that you’re there for them can help your parent truly remember that they are dearly loved. You may even reach a point where verbally communicating with your elderly loved one ceases to become an option as their dementia advances. This is where showing your care, love, and support through nonverbal expressions becomes all the more important. It will take your parent longer to do the things that they used to be able to do quickly – such as forming and expressing their thoughts, looking after themselves, and recognizing you and the people who love them. It will be frustrating at times, but you must remember that these are things your parent cannot control and these may cause them distress too. Patience will have to be the key value to always uphold. Just as there are good and bad days for your parent, you will have your own too. It is always important to never forget about yourself. Your parent needs you, but they need you to be in the best shape to care for them, and that means allowing yourself to have the time to put yourself first and rest. 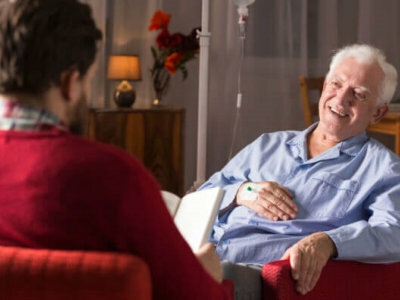 We make sure that our Home Care Services in Vancouver are of high professional standards in care, so your elderly parent can live a better and safer life right at home where they are most comfortable. Have your parents experience expert care, and give us a call today!